We’d love your help. Let us know what’s wrong with this preview of Personal Space by Robert Sommer. To ask other readers questions about Personal Space, please sign up. Space organization impact on the human psyche is cruelly undervalued and it still amaze me to read work based on this subject that old and still pretty relevant. This book points out big problems in management (still present) in the architectural niches and in the process of creating space where someone's impression could be different based on their culture, background or simply tastes...It's the lack of communication between the user and the architect and how they failed to put flexibility into Space organization impact on the human psyche is cruelly undervalued and it still amaze me to read work based on this subject that old and still pretty relevant. This book points out big problems in management (still present) in the architectural niches and in the process of creating space where someone's impression could be different based on their culture, background or simply tastes...It's the lack of communication between the user and the architect and how they failed to put flexibility into their work that is blamed. 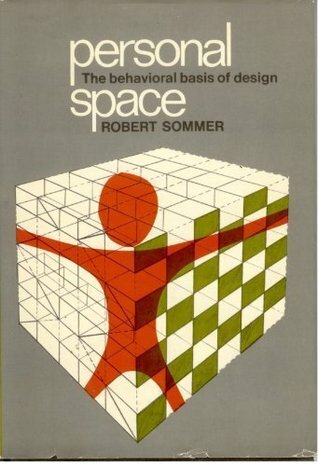 Interesting book for those who wants to read Robert Sommer's experiences on various places, from an hospital to a student room delivered with an intelligent writing and followed with various oh-this-seems-pretty-interesting kind of references. I even found it pretty exciting.